Beets, Carrots, Beans, Squash, Sweet Potato, Taro, Salt. These light & crunchy vegetables carry just the right amount of flavour. A favourite among their customers and staff. 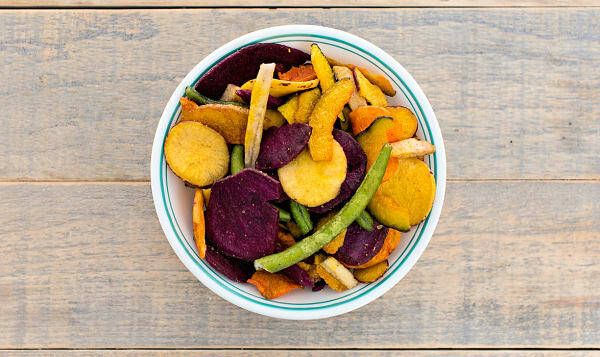 Dried vegetables with non-hydrogenated canola oil, seasoned with a hint of sugar and sea salt. A truly unique treat that surprises everyone at parties and gatherings. And with no trans fat, these make for a healthier alternative to regular potato chips.